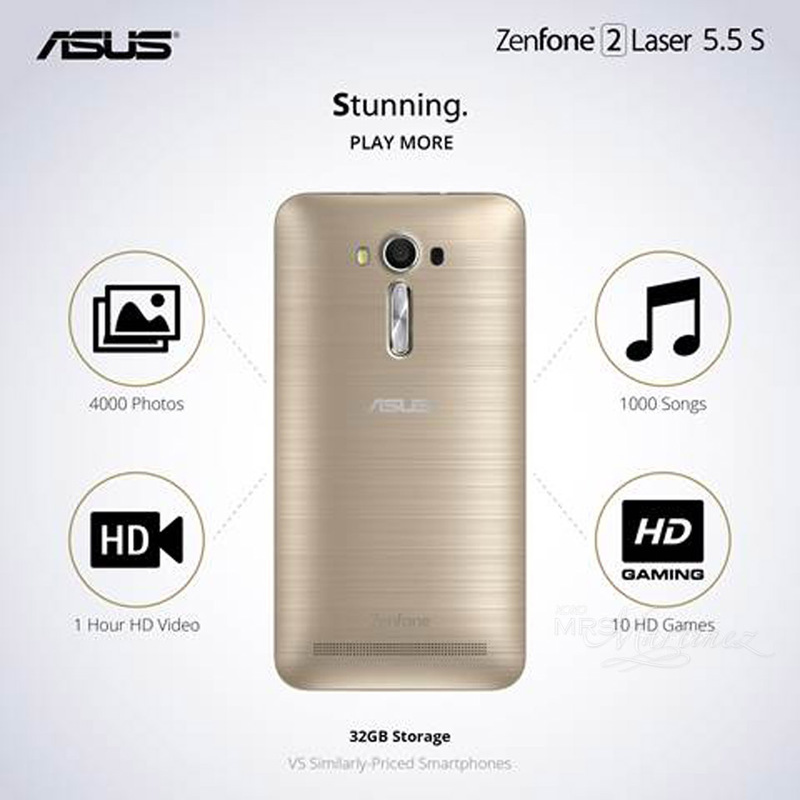 I am truly blessed because a few days before my birthday, I received the latest phone from Asus- it's a spanking new Zenfone 2 Laser 5.5 S (ZE550KL) 32 GB in Gold. 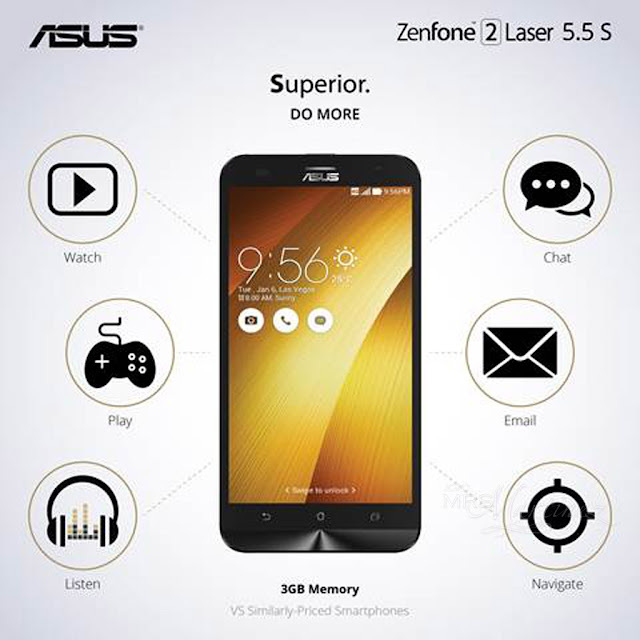 It is an upgraded version of Asus Zenfone 2 Laser (ZE500KL) which I reviewed last year. 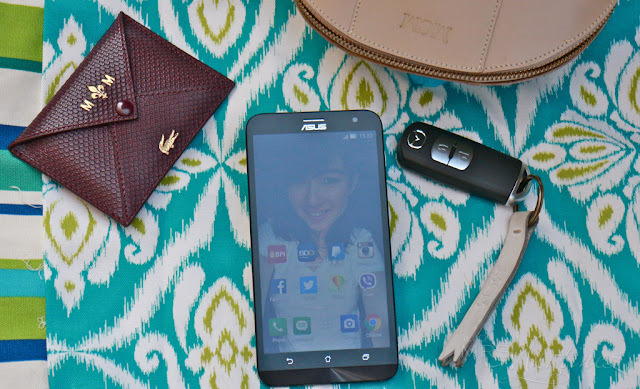 If you would notice, there are two things that I love and can't live without- genuine leather and personalized things. The first thing I did upon receiving my new phone is to load my photo and then add the apps that I often use on my Home Page. The new phone not only gives me a better view with its 5.5-inch (1280 x 720) display made of Corning Gorilla Glass 4, I can also see clearer with its 72% screen-to-body ratio. There's also Bluelight Filter for Eye Care. What more can you ask for? Transferring data is so easy, it only took me only a few hours to personalized and fix the content of my new Android phone. 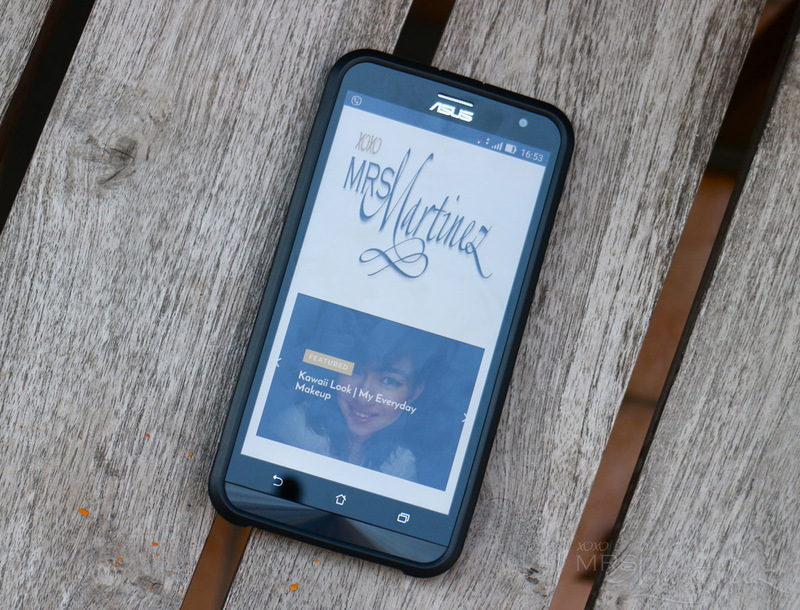 I was able to tinker with it the whole day without worrying that I would eventually drain the battery, thanks to its improved 3000 mAh Li-Polymer removable battery. With its 3GB RAM and efficient graphics processing unit, the new Asus Zenfone 2 Laser 5.5 S can handle highly demanding applications with utmost ease. 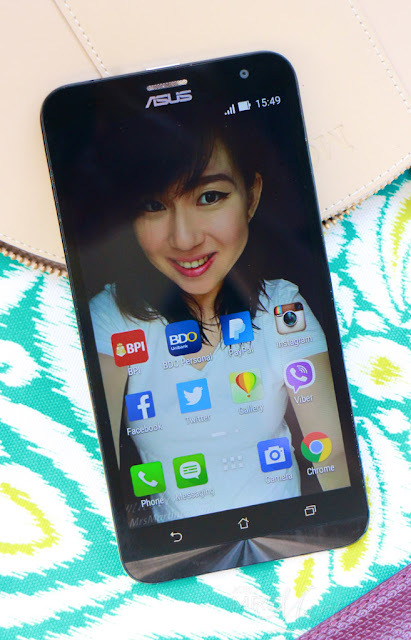 With its 32GB storage, you can store 4000 photos, 1000 songs, 1 hour HD Video and more! If that is not enough, you can always add up to 128 GB Micro SD in its external storage slot. 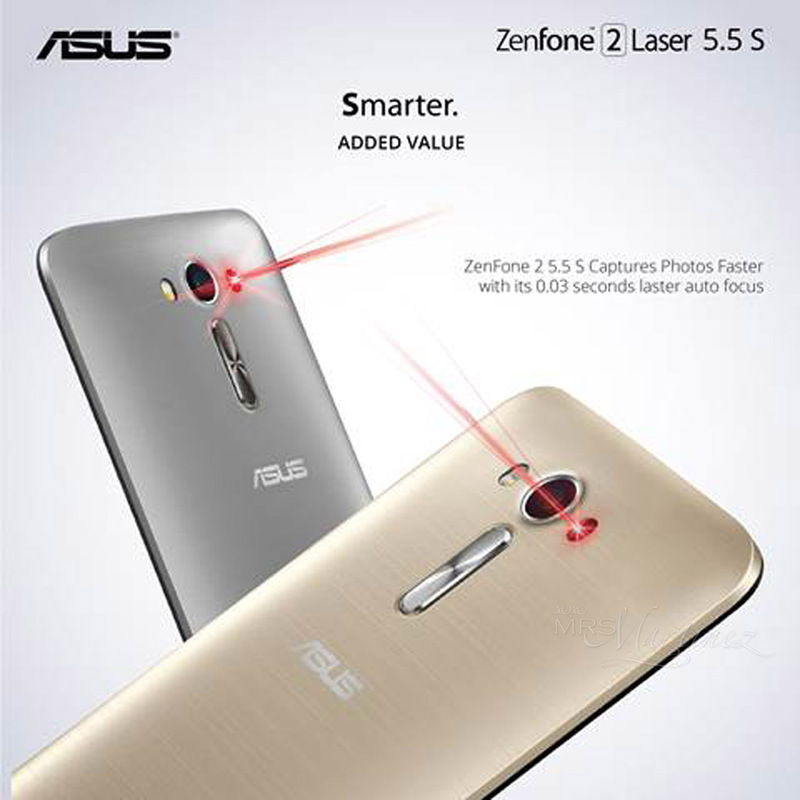 If you want to experience life in Laser Speed with an upgraded storage, improved processor, overall better performance, and value-for-money, the new and improved Asus Zenfone 2 Laser 5.5 S is now available and it retails for only Php 8,995! What are you waiting for? Grab one today!